Bring Up The Bodies is the second part of Hilary Mantel’s duo of works being shown at the Aldwych Theatre, London. The text, winner of the 2012 Man Booker Prize, runs in repertory with it’s predecessor, Wolf Hall. 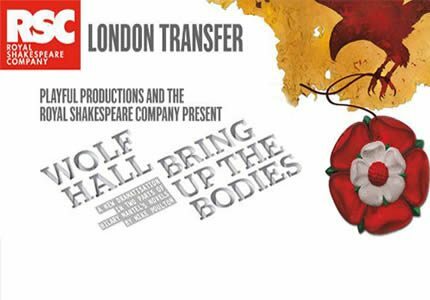 Presented by the esteemed Royal Shakespeare Company both Wolf Hall and Bring up The Bodies transfer to the West End following a critically acclaimed run in Stratford Upon Avon. Bring Up The Bodies picks up where Wolf Hall left off. In the first show, set amid the reign of King Henry VIII, we see the king’s impatience to have a son lead him to redefine the church as he files for a divorce from his first wife, Katherine of Aragon. On the advice of Thomas Cromwell, the King manages to leave his wife for lady in waiting, Anne Boleyn. Bring Up The Bodies begins as Anne Boleyn is safely on the throne, due to the hard work from Thomas Cromwell. However the King is once again left frustrated at the lack of male heirs being produced by his wife whilst also feeling ostracised following his conflict with the Catholic Church. The incessant King begins to tire of his wife and starts to fall for another woman, plain Jane Seymour. Poor Cromwell has to step in once again to satisfy both King and country, as well as his own political aims. There seems to be only one clear loser; the current Queen. Bring Up The Bodies runs in rep with Wolf Hall with casting remaining consistent throughout both pieces. 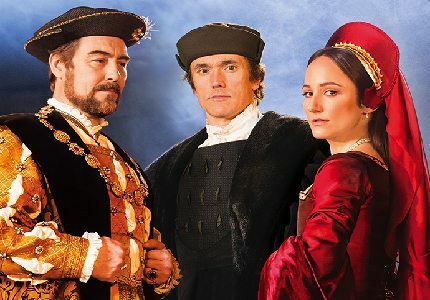 Veteran Actor Nathaniel Parker tackles the role of King Henry VIII, with Ben Miles as Thomas Cromwell, Lydia Leonard as Anne Boleyn and Leah Brotherhead as Jane Seymour. Both shows have been adapted for the stage by Mike Poulton and directed by Jeremy Herrin. The productions will run between May 1st and 6th September 2014. On Wednesdays and Saturdays throughout this period, it is possible to see both shows back to back. Read our latest interview with Nathaniel Parker, who stars in Bring Up The Bodies, here. Whilst there are some scenes that contain moderate adult content, older children may find the show educational due to its historical accuracy.